The Miami Street Photography Festival 2013 will showcase the best of contemporary street photography in Miami's Wynwood Arts District during Art Basel Miami Beach. The second annual Miami Street Photography Festival (MSPF), in partnership with Leica Camera, will once again showcase the best of contemporary Street Photography viewed through the eyes of emerging photographers in this genre. “We are very excited to be partnering with Leica in hosting this world class photography event,” said festival founder Juan Jose Reyes. “The goal of the Festival is to establish a global platform for learning through exhibitions, workshops, lectures and other events and to elevate Miami as a center for photography,” he added. Dubbed by Harper's Bazaar Hotlist as an "Art Basel Top Ten" in its inaugural season, this year's event will take place December 5-8, 2013 at Trendy Studio in Miami’s vibrant Wynwood Arts District during the height of Art Basel Miami. Featured speakers will include world-renowned Magnum photographers Alex Webb, BruceGilden, and Constantine Manos, along with National Geographic’s Maggie Steber and author/photographer Rebecca Norris Webb. The festival will host a street photography exhibition displaying images selected among participants from all over the world. Street photography workshops by Gilden and Webb/Norris Webb will also be available to participants. For the complete schedule of activities and to sign up visit the festival’s website http://www.miamistreetphotographyfestival.org. Street photographers use their keen sense of observation to document society through the capture of compelling candid moments in everyday life. At the heart of street photography is the “decisive moment”, the split second when an image becomes complete in its composition. 2012 MSPF Awards These twelve images were selected as the best representatives of the 2012 Festival. Festival partners include Leica AG, Miami-Dade College, Leica Store Miami, Ona, Viewbook, Dale Photo and Digital, CyberLink, ISP/International Street Photographer Magazine, Dina Mitrani Gallery, The Private Space, and Gramps Bar. 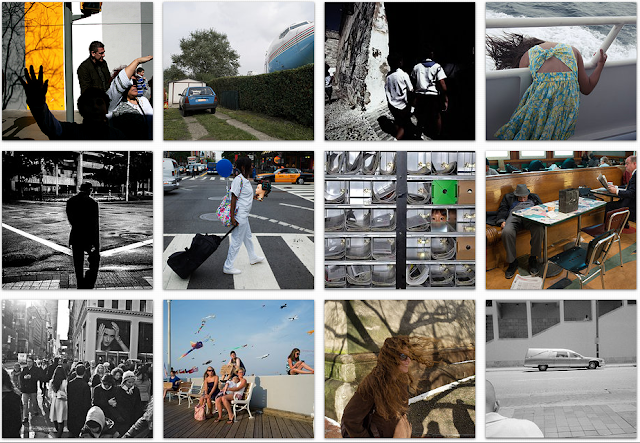 The Miami Street Photography Festival (MSPF©) was incorporated in 2012 as a not-for-profit organization.